Wall conversation | Me fail? I fly! Here’s a nice non-facebook wall conversation from a neighbouring suburb. 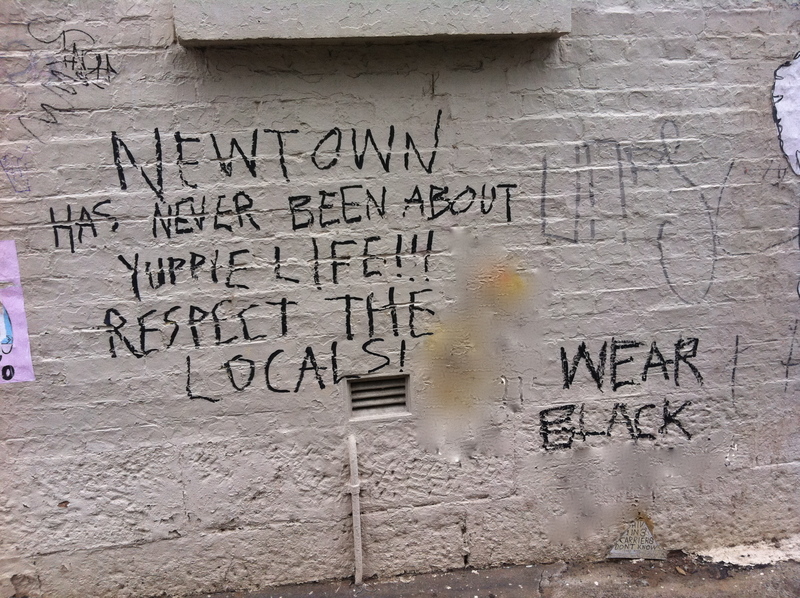 If I had Photoshop I would restore YUPPIE in the first image to YOUR, which is what was there the first time I saw this wall. 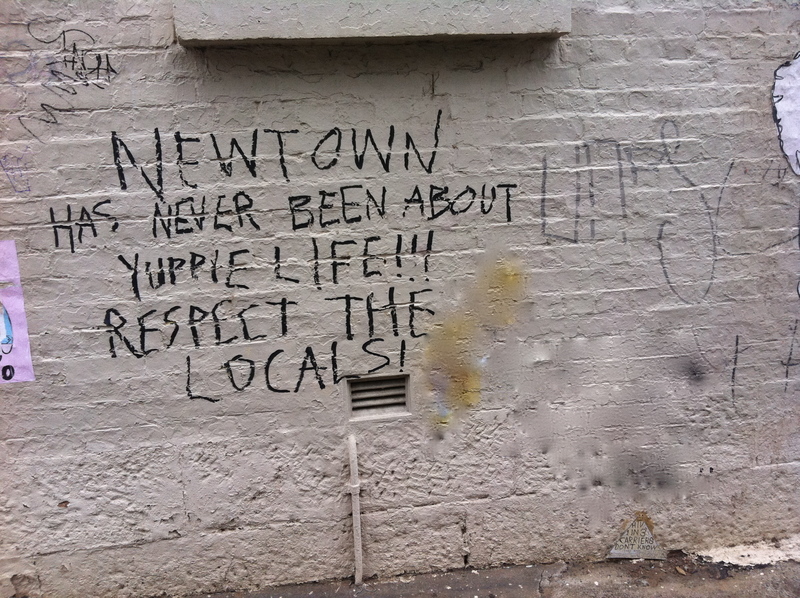 This entry was posted in Around Marrickville and tagged graffiti. Bookmark the permalink. ‘TAKE ASIANS OUT TO LUNCH’ – and became a rather beloved piece of city art for years. 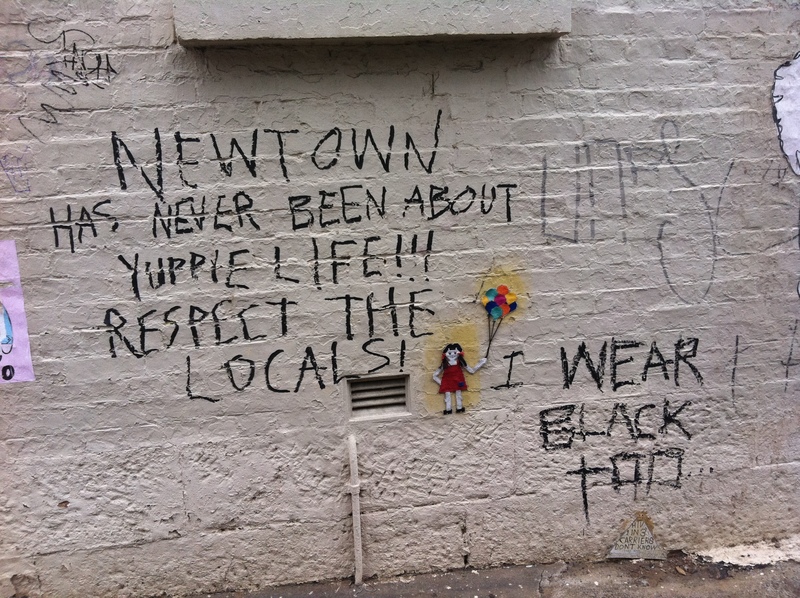 …..I wonder if someone’s going to add ‘buy me a latte and we’ll discuss this’ to the graffiti you’ve photographed above?